Cockroaches are among the most common insect. They have been able to survive many changing environments over million of years. Their presence in nearly every part of the world. There are approximately 3500 species of cockroaches worldwide. Unfortunately, many of the same outstanding biological characteristics that make them so successful also make them one of the most difficult pest to control. Cockroaches As Health Pest : Cockroaches produce odorous secretion from various parts of their bodies, and these secretion can affect the flavors of foods. Disease-producing organisms, such as bacteria ,have been found on cockroaches bodies. Diseases transmitted by cockroaches are poisoning, nausea, abdominal cramps, vomiting, diarrhea, dysentery and other illnesses. The organism causing these diseases are carried on the legs and bodies of cockroaches and are deposited on food and utensils as cockroaches forge. Cockroaches excrement and cast skins also contain a number of allergens to which many people exhibit allergic responses, such as skin rashes, watery eyes and sneezing. For the most part however, cockroaches are associated with severe illness or disease outbreaks. Inspection, Survey and Treatment : The primary goal of a Cockroach Inspection is to locate as many cockroach hiding places, or harborage, as possible ,as a mean to determine necessary and proper insecticide treatments and other management activities. In many accounts, proper inspection includes preparation is a diagram of the indoor and outdoor areas where the program will be conducted. This diagram will include notes on all cockroach sightings, areas where frays was spotted ,condition that conducive to cockroach presence, sanitation problem ,location of sensitive areas, and treatment considerations. Night time inspection is another good technique that will occasionally be necessary in difficult situations. 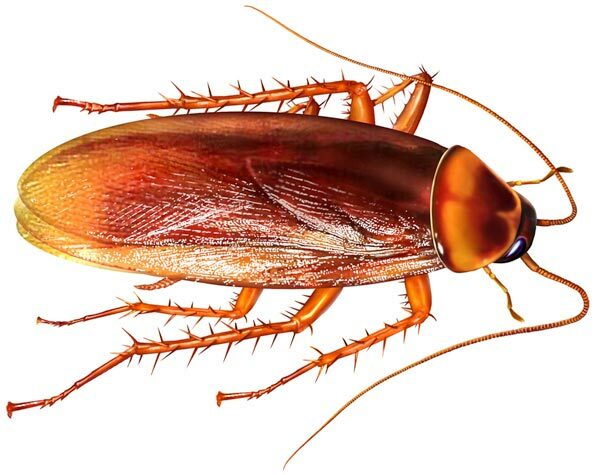 When the cockroach are normally out and forging night, whether indoor or outdoor, you can gain a much better idea of where they are harboring and traveling.